But what would you do if you lost your capacity to earn an income? What would the ramifications be? • Would you need to sell your home? • Would you need to sell assets? • Would you need to borrow money off family or friends? • Would you need to rely on family for a place to live? • Would you need to change the schooling or care arrangements for your children? Due to average debt levels relative to income and asset positions, most people wouldn’t be able to last more than 90 days before they would have to start selling items to continue to fund living expenses and/or make significant changes to their lifestyle should they be unable to work. But with appropriate care and consideration to protecting our income earning capacity, we don’t need to walk this tightrope of risk and vulnerability. Interestingly, most of us don’t think twice about insuring our car, home, contents and maybe an investment property, however many of us don’t think seriously about insuring our most valuable assets - our health and income – and when we do, we don’t review it as regularly as what makes sense. Crunching the numbers – What is your income earning ability really worth? Let’s say you were earning $60,000pa and you were 30 years of age, planning to work until age 65. Ignoring inflation to keep our sums simple, this equates to $2.1 million ($60,000 X 35 yrs) in today’s dollars. While this is a simplistic way to calculate the dollar value of your income earning potential, it still provides an indication of the magnitude of the value of this asset. Hopefully it goes without saying that putting this asset at risk due to inadequate insurance is one of the more significant risks a person could take. If you do have income protection insurance, and it has been more than 12 months since you reviewed it, we encourage you to do so. A lot can change over a 12 month period that influences whether your cover is adequate for your needs. Examples of changes that can significantly affect the adequacy of your insurance cover include an increase or reduction of income, buying a new home, change in level of borrowing, new financial commitments due to growing family and similar. Benefit amount - Typically you can insure up to 75% of your income. Waiting period - A waiting period is the time you have to wait before your income protection policy starts paying you following a successful claim. Examples of waiting periods are 30 days, 90 days and similar. Premium amounts - Premiums are the amounts paid to an insurer on a regular basis and are adjusted according to the risk to the insurer. Longer waiting periods for example will generally lower the premium as payout is less likely for shorter term illnesses or injuries. Your premium amounts can also be influenced by your age, health and occupation. Benefit Period - Indicates how long the income insurance benefit is likely to be paid for upon claim. This could be short term say for 2 years or up to a certain age, say 65 years of age for example. Salary Continuance - A form of Income Protection insurance is called Salary Continuance insurance. You may have this type of insurance within your super fund. It is worth checking. Salary Continuance can have particular requirements around waiting and benefit periods. 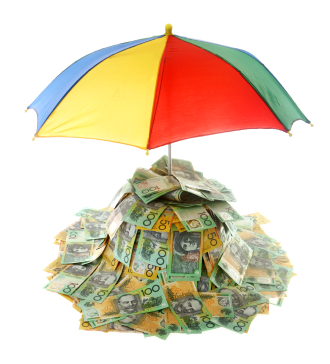 Tax Implications - Generally when you pay income protection premiums, these premiums are tax deductible. This means you can claim them on your tax return as a deduction, but remember when you receive benefits these will typically be treated as income and taxed accordingly. Income Protection can be a complicated field, so make sure you seek personal advice. Go to the Insurance Planning learning module to learn more about General Insurance, Personal Insurance, Life Insurance, Disability Insurance, Trauma Insurance and Income Protection Insurance. Why not take the Insurance Planning quiz to test your knowledge?